Shade Sail or Outdoor Umbrella – Which is Best? Outdoor Shade is a Must, but how do You Decide on the Right Shade Structure? Deciding on a shade structure for your outdoor space can be a tough decision, with shade sails and outdoor umbrellas both doing such great jobs. Each one has tons of benefits and would provide quality protection for you and your family. 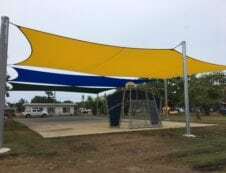 Both the shade sail and umbrella are made from quality, durable and UV protecting fabrics that can withstand different types of weather conditions. If you’re thinking of installing a custom shade structure, but can’t decide what’s right for you, read on to help you make your decision. Shade sail structures can be designed to fit over a small or large area in a variety of shapes and colours. some uses for a shade sail are; covering a pool, shading a BBQ area, covering a patio and giving shade to a children’s play area. 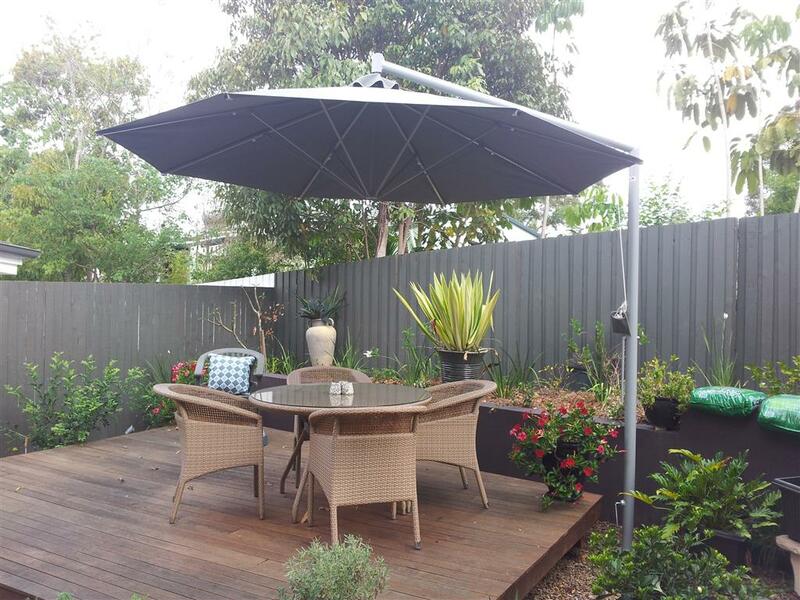 Outdoor umbrellas offer a unique, tropical aesthetic and can be designed in various colours and square, rectangle or octagonal shapes. 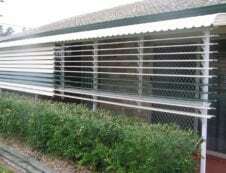 They offer great UV protection and are fast becoming a more popular choice for outdoor shade. Has been rigorously tested ensuring it can withstand strong winds and harsh weather conditions. Is a Shade Sail or Umbrella Best For You? One of the first points to consider is the type of coverage you need. 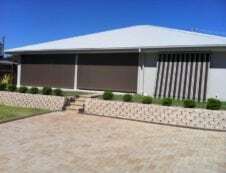 A shade sail can be designed to fit over a larger area, while an umbrella will generally cover a smaller area but can usually be tilted to follow the sun if needed. Another thing to consider is the appearance and style you want to have. 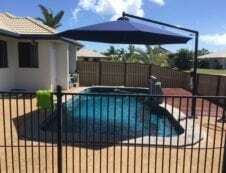 Both can be built in a variety of colours and shapes but the shade sail will be a permanent fixture, while an umbrella can be taken down when not needed. The umbrella is a more flexible option with you being able to reposition it. If you want to move a shade sail, you’d have to get assistance from the manufacturers.